Paul Sturrock has returned to Dundee United in the position of Chief Scout (England), nearly 20 years after his last role at the club. “Luggy” spent 15 years as a player at Tannadice, four years on the coaching staff and managed the side between 1998 and 2000 before moving south of the Border where he had spells managing Plymouth Argyle, Southampton, Sheffield Wendesday, Swindown Town, Southend United and Yeovil Town. The 61-year-old will report directly to current manager Csaba Laszlo, and will use his extensive knowledge of the English game to help United source future players. Speaking to Dundee United’s website Sturrock said: “I am delighted to be back working for my club. I met with the chairman and Csaba László earlier this week and I felt that we all shared the same belief on the best way forward for Dundee United. 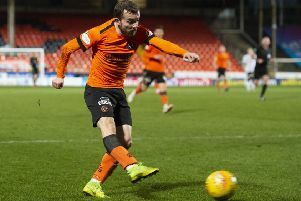 New chairman Mike Martin, who succeeded Stephen Thompson, insisted that recruitment from England needed to play a big part in the club’s ability to produce talent. He added: “Paul’s passion for the Club is very evident and his knowledge of the lower leagues in England remains outstanding.